The price barrier to buying a house in Australia is increasing with a significant reduction in sales of $400,000 or less. Corelogic research indicated 31.2% of houses and 37.3% of units sold transacted for less than $400,000. By comparison, a year ago the proportions were recorded at 32.8% for houses and 38.6% for units. A decade ago, 62.4% of all house sales and 68.9% of unit sales were priced below $400,000. 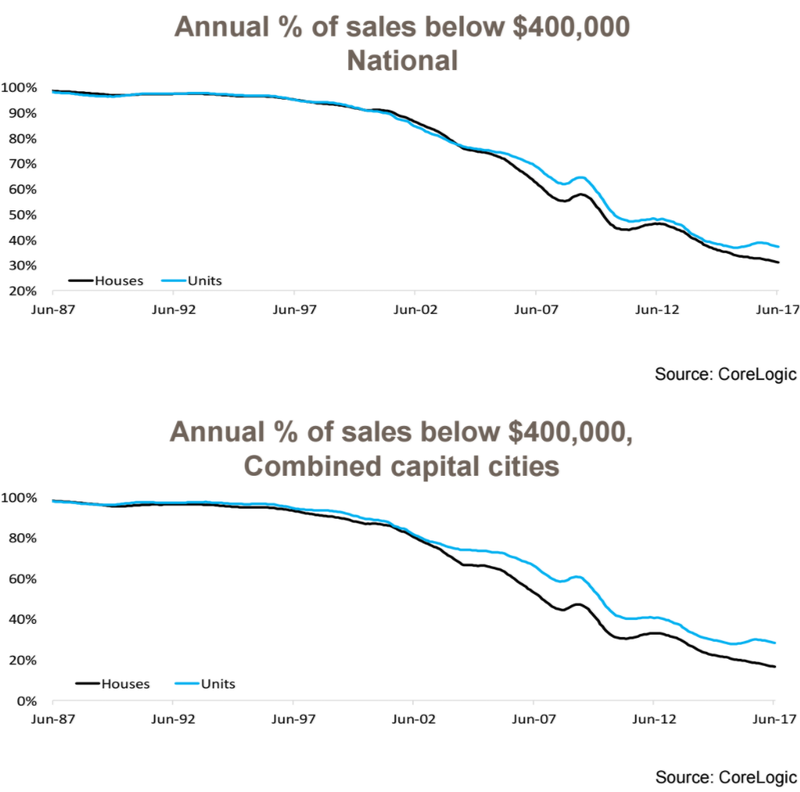 Is $400,000 no longer enough to find a home in our cities?“Even comparing these figures to just a year earlier the decline in the proportion of sales under $400,000 is extremely noticeable for houses (19.0%) and somewhat less so for units (29.6%)," Corelogic Research Analyst Cameron Kusher said. Outside of the capital cities, 52.0% of houses and 60.5% of units sold over the 12 months to June 2017 were priced below$400,000. A year earlier the proportions were recorded at 54.3% for houses and 63.2% for units. More than three quarters of regional house (75.6%) and unit (75.2%) sales were less than $400,000 a decade ago. Over the past year, less than 3.5% of all house sales in Sydney and Canberra were below $400,000 compared to 35.5% and 40.0% respectively a decade ago. In a market like Sydney, the unit market doesn’t even represent much of an alternative with 7.4% of all unit sales over the past year below $400,000 compared to 53.9% a decade ago. Looking specifically at houses, a decade ago only Sydney (35.5%) and Canberra (40.0%) had fewer than 50% of sales below $400,000. 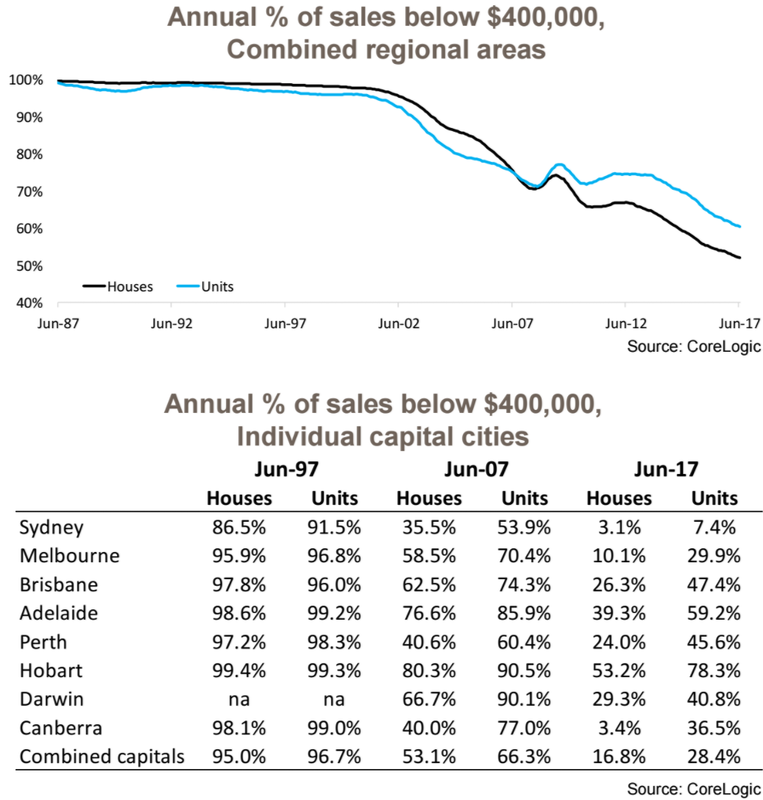 Comparing that to the last 12 months, Hobart was the only capital city to have more than 50% (53.2%) of house sales below $400,000. A decade ago, only Sydney (53.9%) and Perth (60.4%) had fewer than 70% of units selling for less than $400,000. Over the past 12 months, only Adelaide (59.2%) and Hobart (78.3%) had greater than half of all unit sales below $400,000. “As dwelling values continue to increase, we anticipate that over the next 12 months the proportion of properties selling for less than $400,000 will further reduce," Mr Kusher said. "In the way that the rising number of sales of properties for at least $1 million shows the deteriorating affordability, so too does the significant reduction in the availability of properties priced under $400,000. 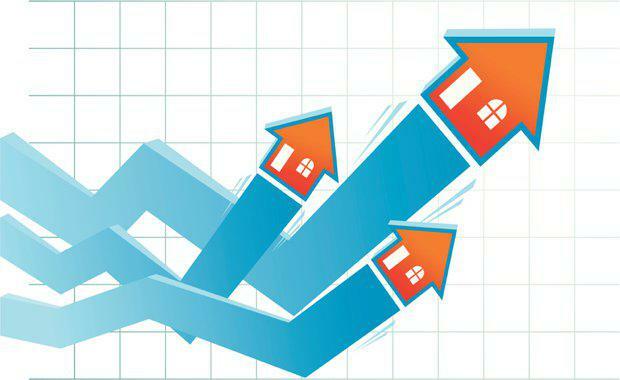 “Although the Federal Government attempted to address housing affordability in the Budget this year, in order to improve housing affordability, clearly there is much more work to be done on both supply and demand drivers of the market. "Kusher said a greater supply of stock could potentially reduce prices, however the supply needs to be supported by sufficient infrastructure and employment opportunities.